Los Angeles sinus surgeon Dr. Alen Cohen, is one of the creators of Minimally Invasive Image Guided Endoscopic Sinus Surgery (MIGSS™). This outpatient sinus surgery does not require any incisions to the face, yet efficiently and effectively targets diseased areas within the nose and sinuses. As a result, none of the healthy tissue within the sinus cavity is disturbed in patients who undergo Minimally Invasive Image Guided Endoscopic Sinus Surgery as only the diseased areas are addressed. 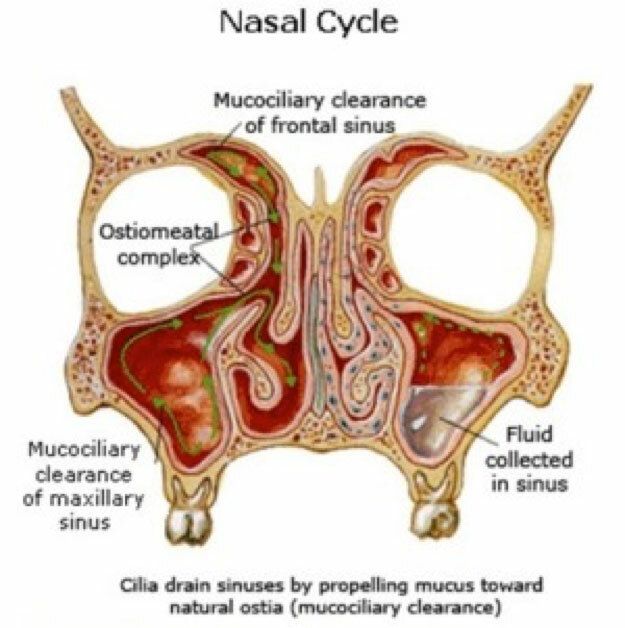 Candidates for Minimally Invasive Image-Guided Endoscopic Sinus Surgery in Southern California are those who suffer from chronic and recurrent sinus infections (sinusitis), chronic sinus pain or pressure, or patients with extensive nasal obstruction due to a severely deviated septum, extensive nasal polyps or other issues. When the reason for the recurring sinus infection and ensuing pain is determined to be narrowed or blocked sinus drainage pathways, Dr. Cohen may recommend this type of sinus surgery in order to improve the patient’s quality of life, and prevent ongoing pain and repeated doctor visits. During this minimally invasive outpatient sinus surgery, Los Angeles’ best sinus surgeon, Dr. Alen Cohen will employ the use of an endoscope which is a tiny camera that enables him to see within the nose and nasal passages. Working from images provided by the endoscope and by confirming diseased areas on the image guidance computer, Dr. Cohen uses microsurgical tools to gently increase the size of the sinus passageways, remove any obstructions and abnormal tissue in order to reduce the likelihood of recurring inflammation and infection in the future. As Los Angeles’ premier ENT surgeon, Dr. Cohen’s goal with all sinus surgery is your quick and painless recovery. The majority of patients suffering from chronic sinusitis who choose to undergo Minimally Invasive Image-Guided Endoscopic Sinus Surgery are surprised at how little pain and discomfort follows the surgery. Likewise, the majority of Dr. Cohen’s Southern California sinus surgery patients notice an almost immediate relief from nasal congestion and sinus headaches. As years pass, those patients who chose to have Minimally Invasive Image-Guided Endoscopic Sinus Surgery report far fewer sinus infections and significantly improved quality of life as they can breathe and not have daily sinus headaches. Dr. Cohen’s innovative Minimally Invasive Image-Guided Endoscopic Sinus Surgery has helped countless patients throughout Southern California to finally have relief from chronic sinus pain, through this outpatient procedure. There is typically no postoperative bleeding nor significant pain, and patients are typically able to return to their normal routines within just a few days. To schedule a consultation with Sinus Surgeon Dr. Alen Cohen, contact us today.